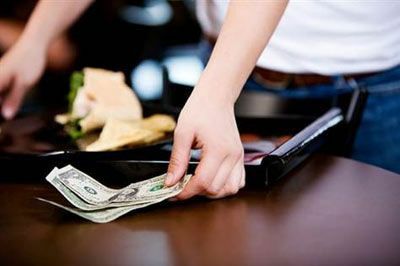 Lynn's own research found that men give bigger tips when the restaurant server is a woman and women give more when the server is a man. Lynn said that in any survey dealing with human generosity, people can say they give more than they really do. There is no way of finding out if people answering a researcher's questions are telling the truth. Creditcards.com spoke to one server at a restaurant in Virginia. She said, "All of the really big tips I've gotten have been from men, and some of the really bad ones have been from groups of women. I think sometimes men tip more because they're trying to impress someone." In Vietnam, a service charge is not usually added to the restaurant bill. If that's the case, you should add a 10 percent tip, and more if you use a credit card. The city's service industry is lagging behind. In other words, we have to build different corporate cultures and ways of working. We came up against a great deal of resistance in dealing with the case. 1.But here is something to keep in mind. Keep in mind you're going to be fighting lots of men who hit plenty hard. I hope he grew up, also keep in mind: Our ancestors are Chinese. 2.Many service workers do not make much money, and even an extra dollar or two can make a difference in their lives. You can make a difference with the looks of your eyes.